Filipinos have so many traditions. And you can learn these traditions when you live with them. There are customs that dated back from their ancestors along with the influences of several races who interacted with them such as the Spaniards, Japanese, Chinese, Americans and others. 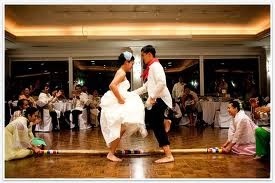 They have brought drastic changes on how the Filipino wedding is practiced nowadays. In this article, I will share to you some elements of Filipino wedding that you might want to know more about. The candle.Lighting a candle symbolizes God’s guidance to the couple. These candles come in pair which has something to do with individuality that later turned to unity. The arrhae. The use of arrhae signifies prosperity for the couple. On the first year of the married couple, they will be able to discover their capabilities to provide for themselves financially and many believe that arrhae will bring them good luck in marriage life. The ring. This is a symbol of everlasting covenant of the two to love one another no matter what happens. Each one will give someone a ring that will serve as a symbol of their true love. The veil, bridal gown and cord. These are essential elements of the Filipino wedding that are given importance. The veil is the covering of the face of the lady that will be unveiled right in front of her partner. The bridal gown according to some Filipino myths should not be fitted in the body or worn before the wedding because it might cause the wedding not to pursue. And the cord is the everlasting connection between the two but not all believe this superstition. Filipino weddings are rich in rituals. 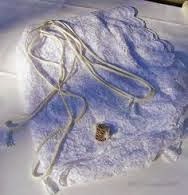 In fact in several provinces in the country, the pinning of money is still practiced as a help to the newlywed couple.